List Rules Vote up the things in movies that take the science out of science fiction. We've come to accept, as an audience, that there's going to be inaccurate science in movies. Movies aren't nerds, after all, so why waste time on believable computer hacking when John McClane has some 'splodin to do? However, we do expect a little more from science fiction. It's got "science" right in the name! But if anything, some of the worst science in sci-fi movies stands head and shoulders above the rest of cinema. From Robinson Crusoe On Mars to Prometheus, there are myriad sci-fi movies with terrible science. After only cursory examination, even the most "scientifically accurate" sci-fi movies have massive problems when you compare them to reality. And thanks to new scientific breakthroughs, films that seemed completely in line with scientific facts when they were released were later revealed to be utterly ludicrous. The list covers the bad science in science fiction movies you see over and over again. Explosive decompression, sound in space, and the proper use of bombs are just some of the things science fiction movies seemingly refuse to get right. Let's find out the rest. 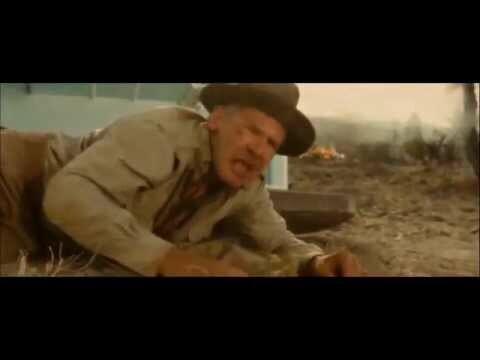 What Happens In The Movie: Indiana Jones is stuck in a nuclear testing site. To survive the bomb going off, Indy hides in a lead-lined fridge. It’s sent flying thousands of feet from the force of the blast, and Indy walks out unscathed. Why It’s Ridiculous: If we assume, for just one second, that an old lead-lined fridge would save him from the radiation (which it definitely wouldn’t, especially the second he got out), the sheer force of the explosion would have broken every bone in Indy’s body. And that’s assuming the fridge stood up to the blast at all. What Should Have Happened: Indy should have been liquefied inside that fridge. If there was enough of the fridge left over, at least he would already be in a convenient coffin. Unforgivable or not that bad? 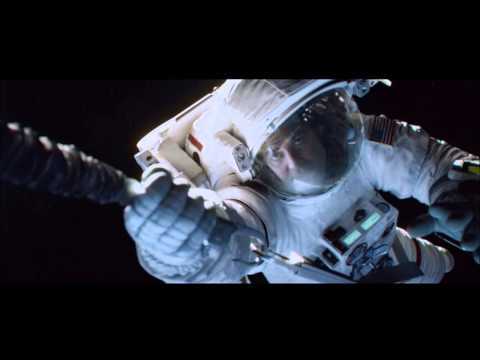 What Happens In The Movie: George Clooney makes the ultimate sacrifice by cutting himself free of the tether to Sandra Bullock when he starts to drift away. Why It’s Ridiculous: That’s not how physics works. The fact that he was attached to someone holding onto a solid object meant that he would have stopped drifting. In fact, he could have been pulled back easily. No sacrifice required. What Should Have Happened: The hero should have just yanked the tether and saved Clooney’s life. The two would have been able to work together to get back to Earth, and we would have been saved from one of the most annoying dream sequences in modern cinema. What Happens In The Movie: Someone puts antimatter in vials in order to make a bomb. Why It’s Ridiculous: Assuming that the amount of anti-matter seen in the movie could be produced (which is a big stretch), it would need to be stored in a containment system where it isn’t touching anything... as in any matter. You would need a substantial apparatus generating magnetic fields, so basically the opposite of a small glass vial. What Should Have Happened: The antimatter would have touched the actual matter in the bottling process, exploded in everyone’s faces, and obliterated all of the secret Pope clones hidden under the Vatican. What Happens In The Movie: A baddie from North Korea has his DNA replaced so he can masquerade as a British mogul. Why It’s Ridiculous: You have DNA in every cell in your body. Changing all of that is simply impossible. Oh, sure, they gave some explanation about how the doctors killed off all the bone marrow so it can be replaced… but that would just kill you. What Should Have Happened: The bad guy would have died in the hospital, and the doctor who swindled him would have ran off with all his money. Pierce Brosnan would have stayed home, and we would have all been saved a lackluster Halle Berry performance.